Find My Workspace lists over 95% of the executive office suites market in Tampa. Simply click Request Quote to check pricing for one office, or Add to Basket for multiple offices. This center is located on the 33rd floor of a prestigious tower block on East Jackson Street, giving way to beautiful, panoramic views of Tampa and the Hillsborough River. The space offers both private and coworking membership with access to unparalleled amenities such as; a private mother’s room, professional conferencing rooms, an on-site fitness suite and showers as well as local snacks and fresh coffee served daily. grow your business, then this is the place for you. This centre provides two levels and several sizes of private offices, allowing you the flexibility to choose the office space that is best for you and the development of your business. The membership options provide a range of benefits to help your business grow. Each office comes with a membership, and you can purchase additional memberships for employees and coworkers at a reduced price per person. This centre is open 24/7, offers free parking, meeting rooms, large kitchen, community events and a pool table to ease your networking. 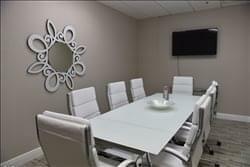 Convenient cowork space, semi-private and private office suites in the heart of Channelside geared toward professional service individuals who have a desire to accelerate personal production. Meeting space, after hours networking, collaboration, brand acceleration, perfect your pitch, get started publishing, raise your local profile, develop partnerships and build multiple inbound lead sources to exponentially grow your business. This brand-new center offers fully furnished office space that comes equipped with everything needed for your business to function. The full time receptionist gives your company the edge in a competitive market. 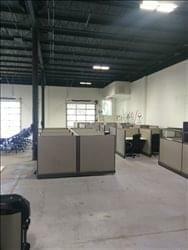 This center is ideal for those companies looking for storage as well as an office. Each office comes fully equipped with a desk, chair and telephone. Tenants can also take advantage of the shared kitchen facilities, car parking and mail boxes. 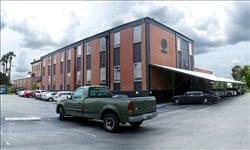 This location offers 24-hour access, with security, providing hours that are available whenever work needs to get processed. IT support is provided to ensure that everything runs accordingly. 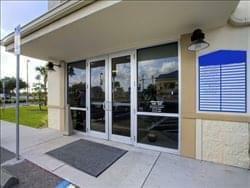 Conveniently located between Downtown Tampa and Brandon, this center offers a professional atmosphere in a relaxed setting. Beautifully landscaped and impressively decorated, it offers temporary and permanent offices within 6.500 sq ft space. There are 21 offices to choose from. Fully renovated building in 2016. All suites are furnished with American made furniture.